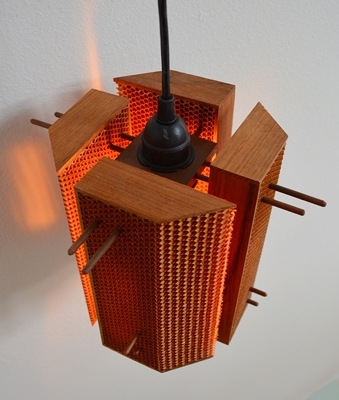 These pendant lights are all about color. 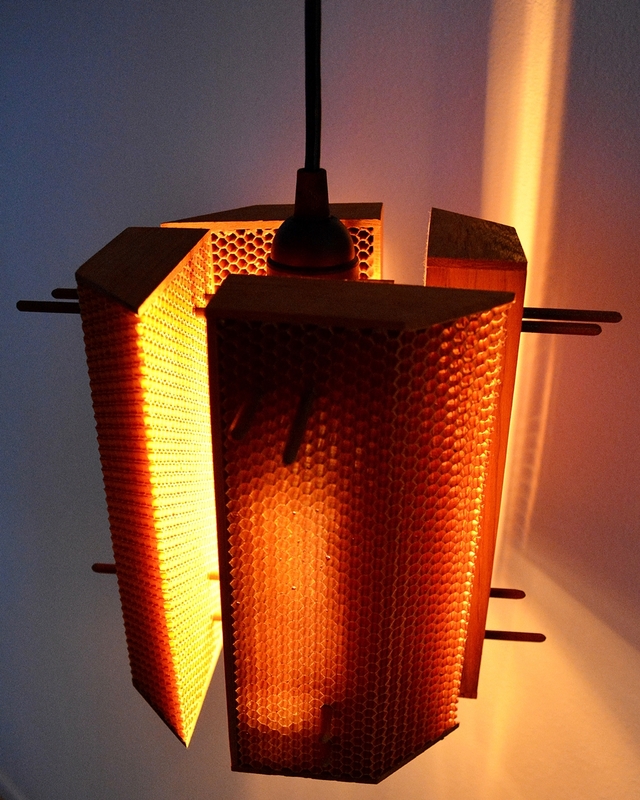 The warm yellow and orange light is cast through the honeycomb as well as gaps between the 4 facets. Mood lighting in spades. 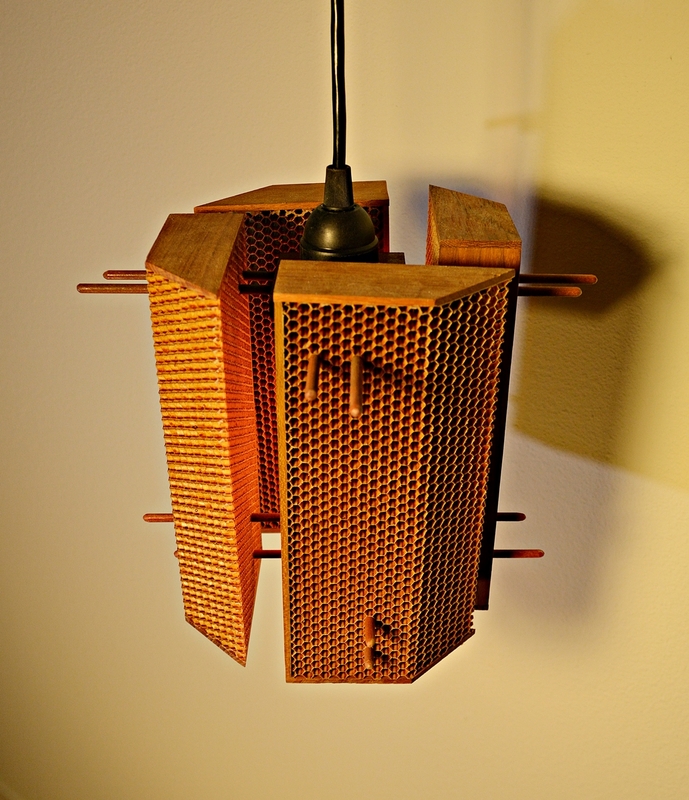 which these 4 facets were then assembled together with wood dowels. "It is a brave act to despise death; but where life is more terrible than death, it is then the truest valor to dare to live."